In our exploration of “The Stories We Tell Ourselves”, we have heard our guests emphasize that often we can make a situation more complicated or dramatic through our stories. As we wrap up our discussions on this topic, we turn to frequent guest Markus Kasunich to look closer at why we have a tendency to “feed” these stories that we know are either untrue, or tend to fuel our emotions. Just as it says outside the exhibits at the zoo, we need to all learn to “not feed the stories”. 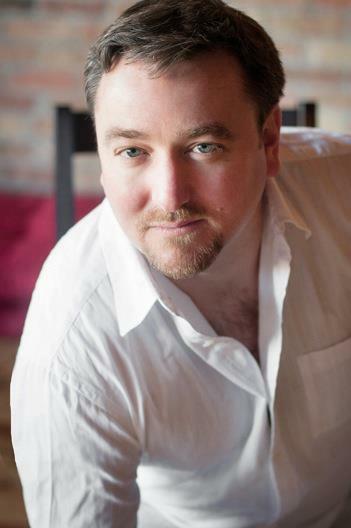 Markus Kasunich is Holistic Life & Consciousness Coach, Spiritual teacher, Healer, and Professional Speaker whose key focus is helping clients reveal the unlimited potential of their True Self. He offers private sessions, online coaching, and facilitates retreats, events and classes. Markus was born in Canada and studied psychology and alternative healing at York University in Toronto and Natural Health Consultants in Montreal, Quebec. He now resides in Southern California. His writings and blog posts are frequently featured on the well-known TUT site. 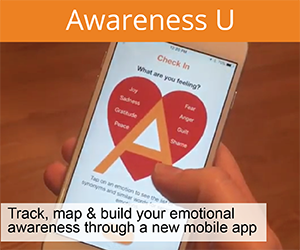 He is a Co-Founder of the Awareness U Emotions app featured on the App Store. This unique app is a tool to capture and track emotional moments to raise individual awareness and provide opportunities for personal growth. Creating stories about the people and events around us takes a lot of creativity, time and energy……energy that can take our attention away from our work, our family, and our free time. When our lives are so busy already, how can we be more mindful of the time that we might be spending creating and telling ourselves stories about the circumstances around us? 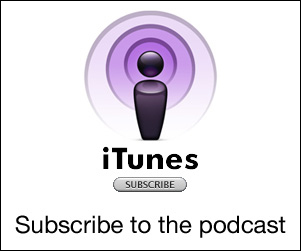 This week we speak with a licensed therapist who shares her insights on how we can refocus our energy. 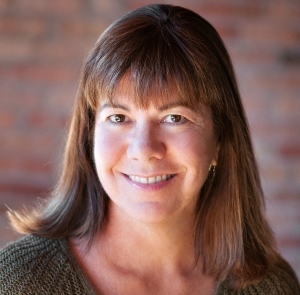 Linda Bell is a licensed independent clinical social worker and a member of the Academy of Certified Social Workers. She received her Bachelor of Arts degree at St. Mary’s College, Notre Dame, and her Masters in Social Work at the University of Wisconsin-Milwaukee. 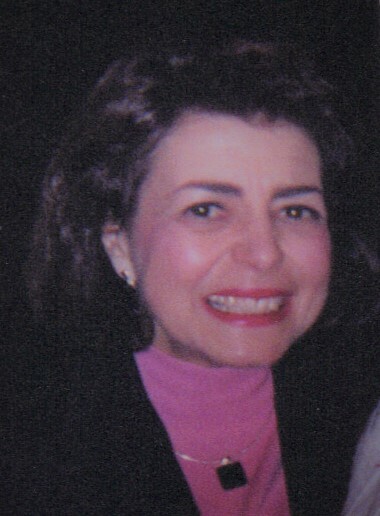 Linda specializes in many areas of therapy including: marriage, couples, families, depression, anxiety, panic attacks, stress management, post traumatic stress disorder, abuse (sexual, physical, emotional) survivors, grief issues, bipolar/mood disorders, chronic illness/medical conditions, employment problems, and EAP. Linda is also certified in EMDR. We all grow up hearing and telling the stories of our family’s history and traditions. Those stories can carry on legacies that can be helpful to future generations, but also can perpetuate stories based in pain and misunderstanding. Often the stories leave out the deeper truths about what happened allowing old patterns to be repeated in each generation. Siblings raised in the same household can have very different experiences of the same events, creating confusion and distortion that can fuel challenging emotions as the stories get repeated over and over. Siblings often get entangled in their parent’s marriage, creating conflicts that do not belong to them. How do we live with and reconcile the stories we hear from and about our family, how do we find our proper place in the narrative, so that we can be rooted in the tradition in a healthy way? 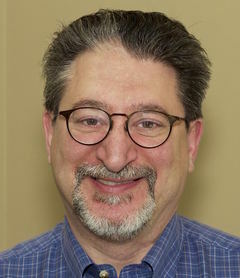 Barry Krost has been exploring body, mind and spirit as a Bodywork & Energy Healing Practitioner since 1983. Barry has over 4000 hours of training in Massage, Bodywork, Energy Healing approaches. He is a Certified Family and Systemic Constellations Facilitator, and a Registered Instructor and Advanced Practitioner of Ortho-Bionomy®. He began to study Family & Systemic Constellations in 2002. He integrates constellations into his hands-on-therapy, does individual and group constellation sessions and trains students interested in becoming facilitators. In all of his work he uses highly developed senses to come into deep contact with the client’s patterns of disorder to support their spontaneous movement towards resolution and truth. 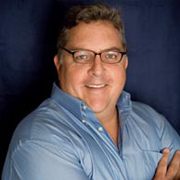 Barry has a BA in Anthropology from Grinnell College and a MA in History from Northeastern Illinois University. He was also a certified Social Studies Teacher for grades 6-12 in the Chicago area. He is trained in Tai Chi Chuan (Wu and Yang), Chi Gong, improvisational theater, Transcendental Meditation, the Art of Living breathing techniques, Iyengar Yoga, transpersonal psychology and Hanna’s Somatics. The relationships with those we are most intimately linked can have some of the powerful highs and lows of emotions. When we experience these strong feelings, it can lead us to create stories that we think can explain, justify, or rationalize another’s thoughts or behaviors. But these stories we tell ourselves can also exaggerate untruths about another, and only make challenging circumstances and mis-communications worse! How can we learn to be more aware of our tendency to create untrue or misleading stories that harm our relationships? Our guest this week shares her best advice from her many years as a licensed marriage and family therapist. In times of stress, chaos and crisis, our minds can create stories that feed our fear, and pull us away from our need to be focused in the moment. We can ask ourselves “Why did this happen?”, “What does the future hold?”, and build narratives that feed what can become an overwhelming wave of emotion. How can we work to avoid creating stories in these moments, so that we can use our energy toward finding some peace, resolve or resolution? This week we speak with a guest who works side by side with people who are at difficult and challenging times in their life who will share her thoughts on how she guides people in those sacred moments. 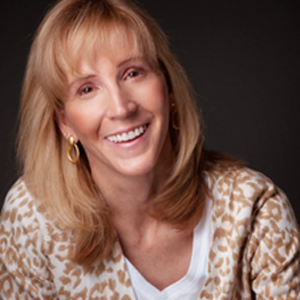 Kristie Zahn spent over 20 years as a Human Resources Executive in non-profit, academic, and profit-based companies. A car accident 17 years ago led to a long road to recovery and a life reassessment. In 2012 she made a decision to leave her corporate life to pursue a new career in the field of Spiritual Care/Wellness, including chaplaincy work in hospice/hospital organizations and as a consultant offering lectures/classes in Mindfulness to interested groups within Southeastern Wisconsin. Kristie now also serves as Chaplain for Wheaton Hospital in Racine, WI. Kristie holds master’s degrees in Management (Northwestern University) and Religious Studies (Cardinal Stritch University), and is a Board Certified Chaplain. She is also a certified Life Coach and Reiki Master. Markus lives his life devoted to his own personal growth and spiritual journey, and sharing over 20 years of experience with his clients. He was born in Canada and studied psychology and alternative healing at York University in Toronto and Natural Health Consultants in Montreal, Quebec. Markus now resides in Southern California. Markus’ writings and blogs posts are frequently featured on the well-known TUT site. We can define success in many ways, including based on our finances, power and influence, personal relationships, and health. How do you define success? We often are hard on ourselves about the level of “success” that we feel we have achieved in our lives, and it can lead us to tell ourselves stories about what we perceive as our success and achievements, and to compare ourselves to others. How can we focus on our own definition of success, and look past outside pressures and perceptions that might lead us to feel less fulfilled? This week’s guest has personally experienced significant professional success, and done her own reflection on her priorities that has led her to her own re-branding over the course of her career. 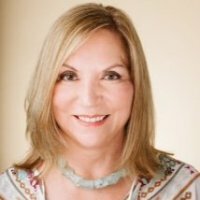 Dana Zurbuchen is known by many titles including Chief Transformationist, Certified Professional Coach and Marketing Guru at her company, DZ+Associates, LLC. Dana’s straightforward style helps companies elevate their brands, create more effective leaders and develop profit-driven marketing strategies. Her clients embrace their unique brand and leadership gifts to so they can better engage with their customers, build even stronger businesses, create sustainable organizations and grow their bottom lines. 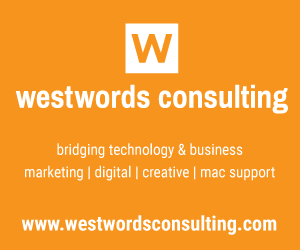 Her coaching, training and consulting practices expertly blends practical business savvy and old-fashioned know how so leaders can create cohesive, connected organizations. Her vision is for individuals and organizations to change the world in big ways by doing what they do best, and being who they are. 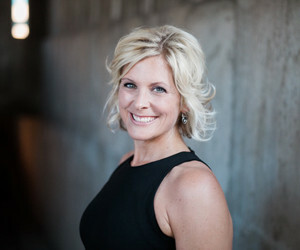 Dana became an entrepreneur at age 26, growing her Madison, Wisconsin-based media buying and promotions company to a seven-figure organization in just a few years. After much success she reconnected with her true passion of helping other business professionals grow their businesses through coaching and training. Dana holds a Bachelor of Business Administration in Marketing with an emphasis in Public Relations from the University of Wisconsin Whitewater. She is a Certified Professional Coach (CPC) and is an Associate Certified Coach with the International Coach Federation (ICF). She is a published author and national speaker and was a featured coach for American Family Insurance Dream Camp event along with Kathy Ireland. For more information about Dana, please go to http://www.dzandassociates.com/. The stories about our life experiences become a key part of who we identify ourselves to be. They help us to understand our relationship to ourselves and others, and how we feel about events that happen in our life. Who or what would we be without our stories? This week we will look closer at how our stories become the narrative of our life, and what that means for our daily interaction in our world. Our guest is a Professor at Marquette University in Milwaukee who has researched and studied our relationship to our stories. Professor Ed de St. Aubin received his Ph.D. at Northwestern University and has been at Marquette since 1999. Ed has taught a wide variety of courses (e.g., Personality, Child and Adolescent Development, Human Sexuality, The Narrative Self, Adult Development and Aging, Psychology and Culture, Personal Meaning in a Complex World). Other specific interests include psychobiography, integrating quantitative and qualitative research, family dynamics, and the embeddedness of human lives. He loves teaching and has been awarded 14 teaching grants and has delivered over a dozen invited presentations regarding quality teaching. Professor de St. Aubin was selected by students to the Faculty Honor Roll while at Northwestern University and received three teaching awards while at the University of Wisconsin – Green Bay, including the University of Wisconsin System Teaching Fellow. At Marquette, Ed received the 2003 Excellence in Advising award and the 2008 Rev. John P. Raynor, S.J., Faculty Award for Teaching Excellence.